I have a special interest in working with clients living with acute or chronic pain. However, I also provide general relaxation massage techniques for stress reduction. Clinical research demonstrates the value of massage as a means to decrease the symptoms related to a number of conditions including arthritis, fibromyalgia, low back pain, migraines, repetitive stress injuries, and injuries from sport activities and automotive accidents. A system of muscular manipulation designed to accomplish relaxation in muscles in which there is progressive and residual tension from physical strain, nervous strain, sports injuries, accidents, infections, and/or years of declining health. Created by Dr. Claude Heckman, myopathy reduces inflammation and pain, restores circulation and motion, and aids in the restoration of normal body functions without the use of oil. Designed to enhance athletic performance and recovery. Incorporates integrative stretching and massage work with focus on specific trigger point areas. The intent here is to calm the nervous system and begin the process of flushing toxins and waste products out of the body. Post-event massage can reduce recovery time, enabling an athlete to resume training much sooner than rest alone would allow. When an athlete sustains an injury, skillful massage therapy can often speed and improve the quality of healing by helping relieve muscular tension, break down adhesion’s, mobilizing soft tissues and reducing pain. Deep Tissue Massage is similar to Swedish massage, but the deeper pressure is beneficial in releasing chronic muscle tension and and breaking up scar tissue. The focus is on the deepest layers of muscle tissue, tendons and the whole fascial system. Deep tissue massage is a type of massage therapy that focuses on realigning deeper layers of muscles and connective tissue. One of the most commonly taught and well-known massage techniques, Swedish massage is a vigorous system of treatment designed to energize the body by stimulating circulation. Five basic strokes, all flowing toward the heart, are used to manipulate the soft tissues of the body. Therapists use a combination of kneading, rolling, vibrational, percussive, and tapping movements, with the application of oil, to reduce friction on the skin. The many benefits of Swedish massage may include generalized relaxation, dissolution of scar tissue adhesions, and improved circulation, which may speed healing and reduce swelling from injury. Finger Acupressure is an healing art that uses the fingers to press key points on the surface of the skin to stimulate the body’s natural self-curative abilities. When these points are pressed, they release muscular tension and promote the circulation of blood and the body’s life force (sometimes known as qi or chi) to aid healing. Geriatric massage uses some of the same basic massage techniques as other modalities. It is, however, tailored to the specific health conditions and needs of the elderly population. Geriatric massage is a form of massage designed to meet the specific needs of the elderly population. It involves gentle manipulating of the soft tissues of the body to improve blood circulation, relieve pain and increase range of motion. Active or passive movement of the joints may also be part of geriatric massage. Elderly people often suffer from a variety of such age-related diseases as Parkinson’s, arthritis, diabetes, heart disease or strokes. As a result, they have poor circulation and limited physical capability. Many of them are also anxious, depressed and lonely. Human touch it self is very beneficial in increasing the well-being and attitude!!! Geriatric massage can help them maintain and improve their overall health, as well as regain certain physical functions that have been reduced or lost due to aging. In addition, it can relieve anxiety and depression and provide comfort to touch-deprived elderly patients and improve their quality of life. In the Japenese language “Ashi” translates to foot and “Atsu” into pressure. Ashiatsu, is a barefoot massage technique in which the therapist delivers deep, broad, consistent pressure while utilizing their feet and body weight. Working with gravity instead of against it. QiGong and/or Continuum techniques, which can ease anxieties and reduce stress, is the use of respiratory exercises to open lung passages, oxygenate the blood, and cleanse the body by eliminating gaseous toxins. The client is encouraged to breathe deeply while the therapist works the appropriate muscles. This is technique that you can use on the golf course or poker table to still the body. This traditional Chinese treatment combines hands-on and hands-off techniques that balance the flow of qi (energy) through the body, move and relieve qi blockages, and improve circulation. Qigong is also a combination of timed breathing and gentle flowing movement, meditation, visualization, and conscious intent all working together to achieve an integrated adjustment of mind and body in order to better cultivate, circulate, and balance qi, or life force. Qigong theory is the basis of traditional Chinese medicine and is used to treat many serious illnesses, as well as for relaxation. Therapeutic stretching, for seniors and / or clients rehabilitating musculoskeletal conditions helps to regain functionality that’s been affected by Range Of Movement (ROM) losses, and occasionally to alleviate pain. Also provides general flexibility, enjoyment and self-awareness, as part of spiritual development, and for supporting health and well-being. Access Consciousness™ is an energy transformation system. A holistic approach to healing your body and mind that offers pragmatic tools, techniques and processes designed to… change things in your life that you haven’t been able to change until now. It is designed to facilitate more consciousness, more mindfulness for everyone. Access Consciousness® can help you to release all your old habits, conditioning and limitations. Revolutionary anti-stress, anti-anxiety treatment, that can unlock you from emotional and physical trauma by releasing stuck energy… like deleting old files off of the computer. The purpose of Bars is to teach people that they can actually lay there and receive. Receiving is not done on this planet. Doing, doing, doing in order to make sure you don’t have to receive is what’s done on this planet. This has to change. You have to be willing to receive. There are 32 bars of energy that run through and around your head. They store the electromagnetic component of all the thoughts, ideas, attitudes, decisions and beliefs that you have ever had about anything. By running energy through these bars, the barriers dissipate and the electromagnetic charge is released. Releasing stuck energy is like deleting old files off your computer. You have more space to create something new and wonderful with more up to date tools! Significantly more joy and happiness. The feeling that what worried / bothered you before the session is no longer significant or stressful. Quicker recovery time from surgery with reportedly less pain. Elimination of behavioral patterns, addictions and psychological disharmony. Decrease in interpersonal and intrapersonal conflicts. Reduction in trauma and stressor related disorders. Running the Bars is a simple, non-invasive, energy process where the facilitator lightly touches each point on the head to release the energy. Receiving this process (having your Bars run) usually leaves you with a sense of peace and space; and a feeling like there is more possibility open to you. This is an incredibly dynamic process that will not only leave you feeling refreshed and relaxed as if you have had a deep restful sleep or a really great massage but it can also change your life. By getting your Access Bars run you actually start to become more present in your life and the past doesn’t project into your future the same way. By getting your Access Bars run you are literally changing the probabilities of future possibilities. Print / Download A Pilot Study: "The Effects of Access Bars on Anxiety and Depression"
The Access Facelift is a revolutionary technique to rejuvenate and reverse the appearance of aging on the face and creates similar effects throughout the body! It is a wonderful way to rejuvenate the face and reverse the appearance of aging. It’s an amazing hands-on process that smooths, tightens and rejuvenates your face and works on your body too. NO SURGERY, NO INJECTIONS, NO DRUGS! A hands-on method that uses different hand placements on various positions on the body and then asking specific energies to run at each spot. These processes facilitate the body back into its original functions, which assist with the repairing and longevity of the body. The energies are the natural energies that bodies are and have access to from everywhere in the universe. When many people think of sound healing, they think of gongs, tuning forks, and Tibetan singing bowls. But what about the sound you can’t hear? What about sound in the infrasound range, beneath the range of human hearing? Controlled research has proven that Infratonic sound waves, which are emitted from two of our devices, the Infratonic 9 and the VitalRest, do many of these things and more. We’ve helped restore the health of thousands of customers worldwide thanks to this therapy. We envision a future where chronic illness has faded out of the human condition, and we think sound will be one of the key players in bringing that vision to fruition. Provides pain relief. It’s highly effective on pain caused by acute injuries, swelling, fatigue, and chronic conditions. Simply stated, Infratonic Therapy is beneficial in treating trauma, both physical and emotional. Relief starts with the cells. Our bodies are pretty incredible. Sometimes they just need a little help to be at their best. When your body is damaged, cells get jolted and trapped in a pattern of frenzy that derails their focus on healing. The sonic waves and vibrations of the Infratonic 9 penetrate down to the cellular level to dissolve trauma and reset cells to their natural patterns, enabling them to calm inflammation, relieve pain and accelerate recovery. spasms, traumatic accidents to menstrual cramps, and everything in between. Listed by the FDA as a therapeutic massager. Relieves pain, relaxes muscles and tissues, promotes local blood circulation and calms stress. Calms traumatized cells allowing the body to accelerate its natural healing abilities and boost recovery. allowing them to calm inflammation, relieve pain and more. It’s amazing what our bodies can do when chaos is calmed at the cellular level. Have you experienced the Infratonic 9? Dissolving stored emotional trauma in tissue. Excellent at reaching chronic tension and inflammation stored deep in the body tissues. Relieve Pain, Tension, and Stiffness; Relax and Revitalize Muscles. 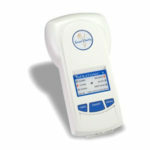 RRT is a breakthrough in theraputic technology. 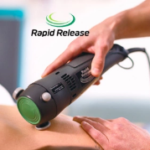 RRT targets brittle scar tissue with the shearing force of planer waves that resonate with scar tissue. This helps painlessly and quickly break down scar tissue. Scar tissue forms in a lattice pattern without blood supply as a temporary patching mechanism for wounds and injuries. This dead collagen is effective in repairing injuries, but dense and less elastic than surrounding, healthy tissue. When scar tissue remains after it’s usefulness it can cause adhesions and nerve entrapment, causing pain, numbness and a decreased range of motion. Rapid Release Therapy is focused on relief of soft tissue problems affecting nerves, muscles, tendons and ligaments. Soft tissue disorders are usually the result of overuse, injury or surgery. If you suffer from any of these conditions and would like to explore the healing effects of RRT please call me, I can help! Electrical Muscle Stimulation (EMS), also known as neuromuscular electrical stimulation (NMES) or electromyostimulation, is the elicitation of muscle contraction using electric impulses. The impulses are generated by a device and are delivered through electrodes on the skin near to the muscles being stimulated. 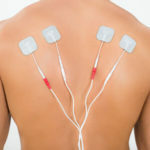 Electric stimulation can be muscular, general and transcutaneous electrical nerve stimulation (TENS). The muscular type of electric stimulation seeks to strengthen the muscles by reducing muscle spasms. Also known as EMS, this stimulates the skeletal muscle using electric impulses to cause muscle contraction. 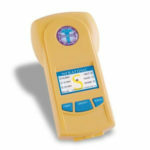 TENS is commonly used to help with chronic pain. The general type of electric stimulation is used for healing strained muscles and alleviating pain decreasing inflammation and swelling of affected tissues. Administration of electric stimulation should exclude patients with pacemakers or those who have certain kinds of skin disease Pregnant women should also avoid this treatment. As always, consulting certified medical practitioner should be done before using this treatment plan. I also Educate and Teach about Beneficial Stretching, I cater specifique to the clients needs Therapeutic Exercises as a way to fallow up after our Therapeutic Masasge session and/or address / bring up the attention to a Pathological Patterns in Clients Daily Routine. Are you ready to recharge, relax, de-stress, or just feel better? Sessions with me will get you in touch with your own body, bring you awareness about your own health, and learn importance of it. And we both will ask your tissue, and your body to allow the healing. We will reeducate it… to what is a more beneficial state of being, existing, operating, communicating! ©2019 Therapeutic Massage by Renata | All Rights Reserved.